NFL Betting - Favorite NFL week 1 picks. Favorite NFL week 1 picks. My favourite single pick is easily Indianapolis +7. I wouldn't be shocked if they won that game straight up. Love the Steelers. Niners probably but Dallas has all the potential even tho that never seems to matter. Don't like the saints opening up on the road to a healthy ATL team. Indy +7 might be a good play but I'd rather take Denver ml I dnt think Peyton loses opening weekend to his former team for a second straight year. Love the niner pick, the way last season ended, in addition to a few new pieces on offense, Kaps new contract eager to prove hes worth the investment, Dallas new D coordinator coupled with the loss of Sean Lee, I think they pound the boys, 31-17. Your steeler play is iffy, I know they've retooled some positions, but there D is old, on the contrary, Horton 's cleveland D will be much improved. I can see a backdoor cover by the browns. Agree with your new orleans pick, and wouldnt be suprised if denver wins by double digits. you havent learned about playoff teams favored in week vs non playoff teams have you? Niners had a great offseason? 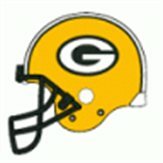 Jim Harbaugh bitching about his deal with the GM, Aldon Smith fiasco part 3, Bowan out for first half of season, and starting guard Boone is holding out. So what happened that was so great, they had a draft just like 31 other teams. [Quote: Originally Posted by Sportsfan123456] These are my favorite picks of week 1 of the NFL season. [/Quote]Niners had a great offseason? Agree 100%. I have a few plays in mind(all of which could change in the next 4/5 weeks), but the Lions -4 look like money. I will be quite surprised if the Colts don't win the game straight up! I will be quite surprised if manning does not do to that Colt Def. what he did to the Ravens Def. in week 1 last year. New England -3.5, I just don't think the Dolphins will be that good this year. New England's secondary with Revis will shut down Tannerhill. Plus the Pats have 3 good LB's to counter the run and short yardage game. Washington +2.5, RGIII back, Desean Jackson added, who is Houston's QB? Fitzpatrick? No wonder Andre Johnson wants out. I think AJ causes problems in the locker room this year. I see Atlanta becoming a under dog by kick off. That would be my sleeper pick. They are healthy, play the Saints tough. Rebuilt DL will get to Brees. Chicago Bears now at 6.5. Still a pick as long as spread stays under 7. They improved their offense by adding Carey at RB, the D is rebuilt, loaded at WR. Buffalo won't know what hit them until they move to Ontario.